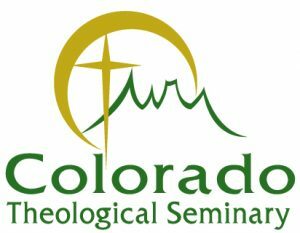 Colorado Theological Seminary School (CTS) is authorized to operate in the state of Colorado under Colorado’s Degree Authorization Act (23-2-101 et seq., C.R.S.). Colorado Theological Seminary is a Member of the Florida Council of Private Colleges and The Council of Private Colleges of America, whose purpose is to promote quality faith based education, and provide support services for faith based educational institutions to accomplish their individual purpose and mission. This is the same organization to which Moody Bible Institute belongs. Colorado Theological Seminary is an Affiliate institution of the Association for Biblical Higher Education. As such, it participates in and contributes to collegial and professional development activities of the association. Affiliate status does not, however, constitute, imply, or presume ABHE accredited status at present or in the future. Colorado Theological Seminary is a Certified Academic Institution with the National Christian Counselors Association (NCCA) , the largest educational and training association of Christian counselors in the world. CTS has partnered with the National Conservative Christian Church (NCCC) to offer students and graduates a ministerial credentialing, church covering and accountability program. CTS is proud to be a member of The Association of Christian Distance Education (ACCESS), a leading network of Christian organizations and individuals characterized by a committment to make education accessible. The purpose of ACCESS is to provide growth, fellowship, and sharing of ideas and resources to help each other improve the quality of courses, programs, and services. Colorado Theological Seminary is proud to be affiliated with Our Daily Bread, a premier producer of seminary study materials. Our Daily Bread offers studies through audio courses that are recognized and approved by many seminaries in the United States and Canada. CTS is exempt from federal income tax under section 501(a) of the Internal Revenue Code as an organization described in section 501(c)(3).